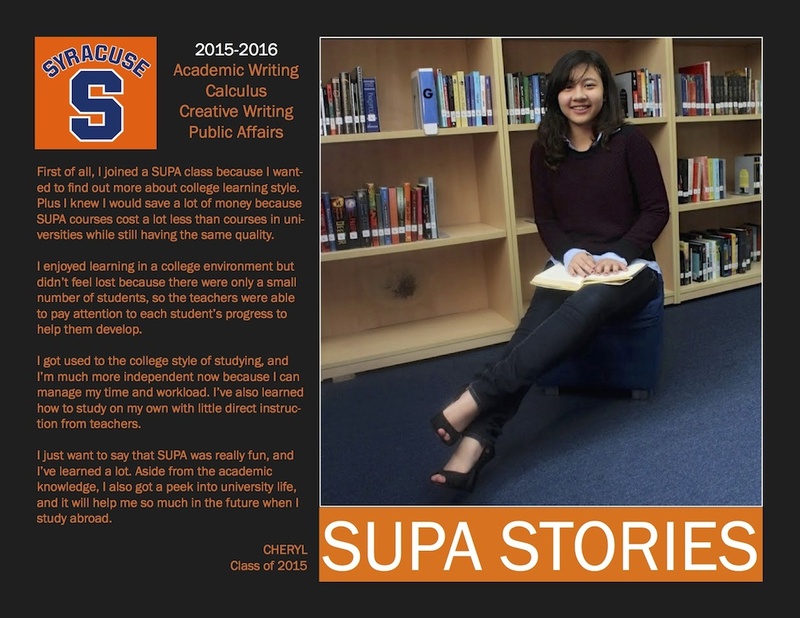 One of the hallmarks of our academic program at ISHCMC - American Academy is our involvement with Syracuse University Project Advance (SUPA). 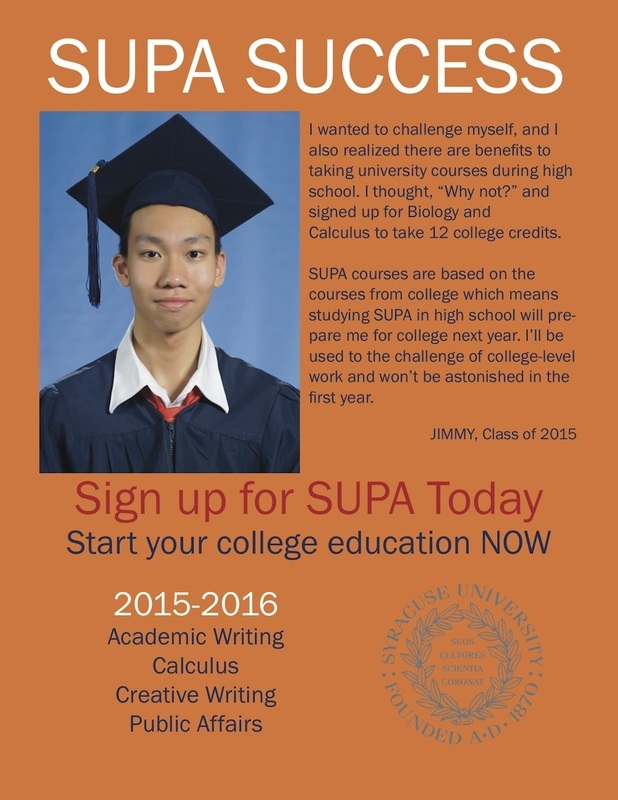 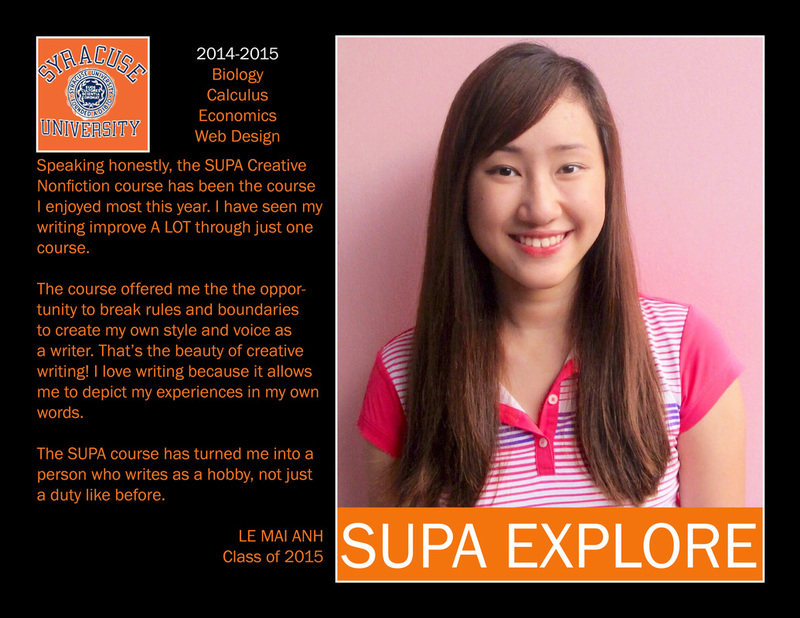 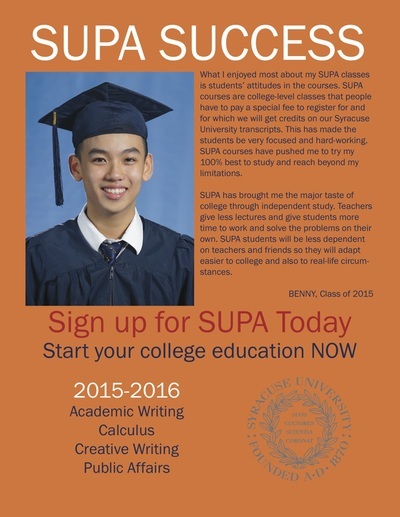 We have four faculty members who have trained with SUPA to offer Syracuse University courses for credit to our juniors and seniors. 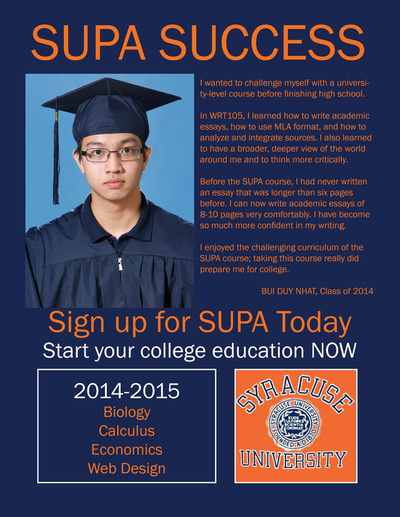 Students register online as non-matriculated students of SU, and upon completion of their dual enrollment courses receive an SU transcript in addition to their high school course credit. 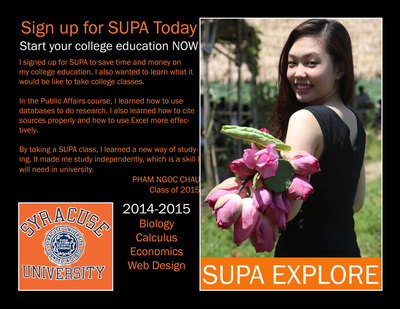 We are the only school in Vietnam to offer this program and have done so since August 2012. 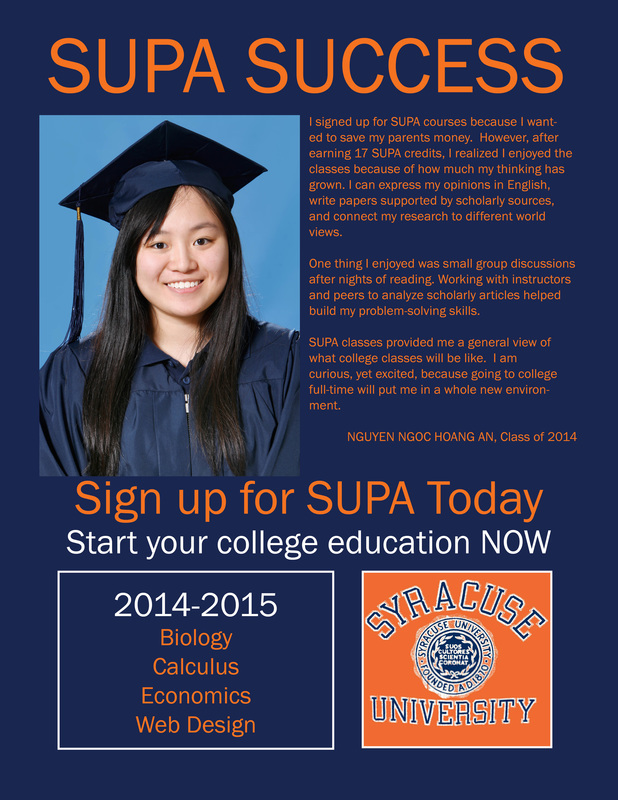 Some words from Christina Parish, Director of Syracuse University Project Advance. At ISHCMC-American Academy in Vietnam, Heather has a proven track record as a SUPA teacher and as a school coordinator effectively guiding students in their college preparations and applications, advising them on scholarship opportunities, and assisting them in successfully transferring their college credit to universities and colleges across North America and elsewhere. 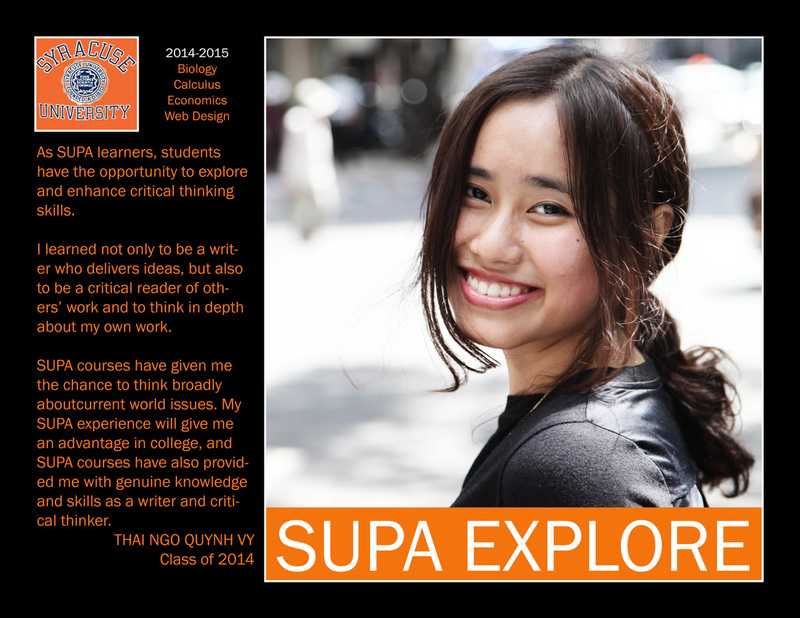 She has worked in increase the number of high school seniors and juniors taking college courses at ISHCMC-AA each year and been incredibly receptive to student's and parents' needs. As an adjunct instructor, I have attended training and received certification for four Syracuse University courses. 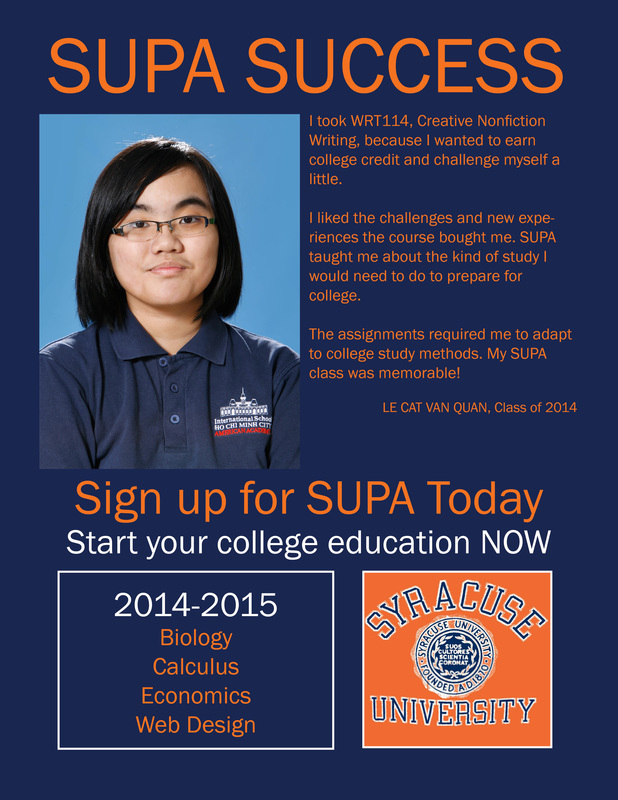 The general template, unit structure, core readings, and course objectives are provided by Syracuse University, however, the daily plan, assignments, and choice of literary and additional theoretical texts is decided by each adjunct instructor.